As someone who lives in the Low Weald of Kent, I think of Rowland Hilder as a painter of landscapes that look as if they portray the fields around our house. 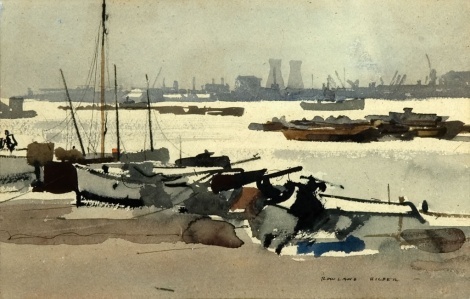 But I’ve recently come to realise that Hilder was also an accomplished marine artist. Click on this link to Baron Fine Art Gallery to see some more examples. 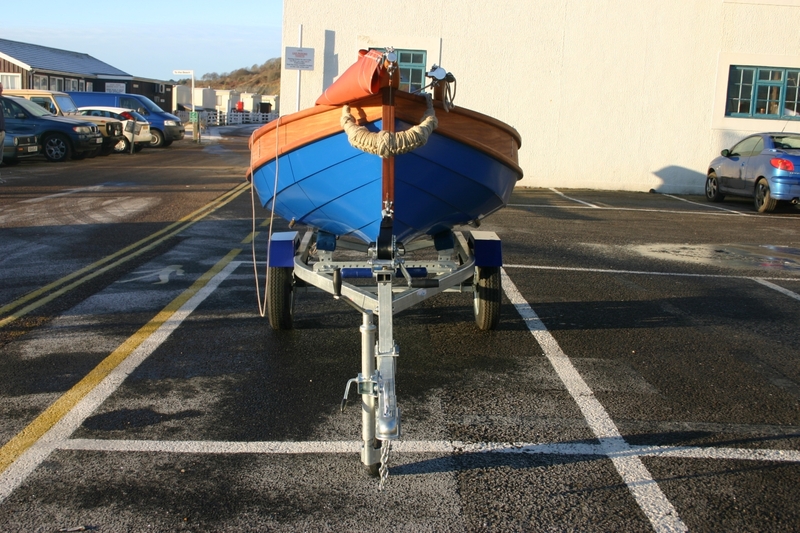 For more examples of art, photography, songs, poems and culture generally at intheboatshed.net, click here. 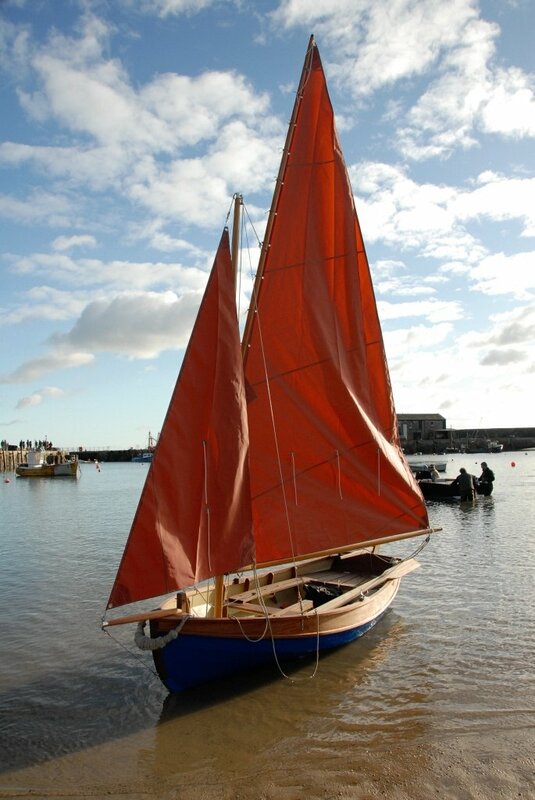 This time they show Neil Bailey’s boat built to the Selway Fisher Northumbrian coble plans. ‘Neil, a Royal Marine for 22 years before coming on the course, wanted to find a new career working creatively with wood. 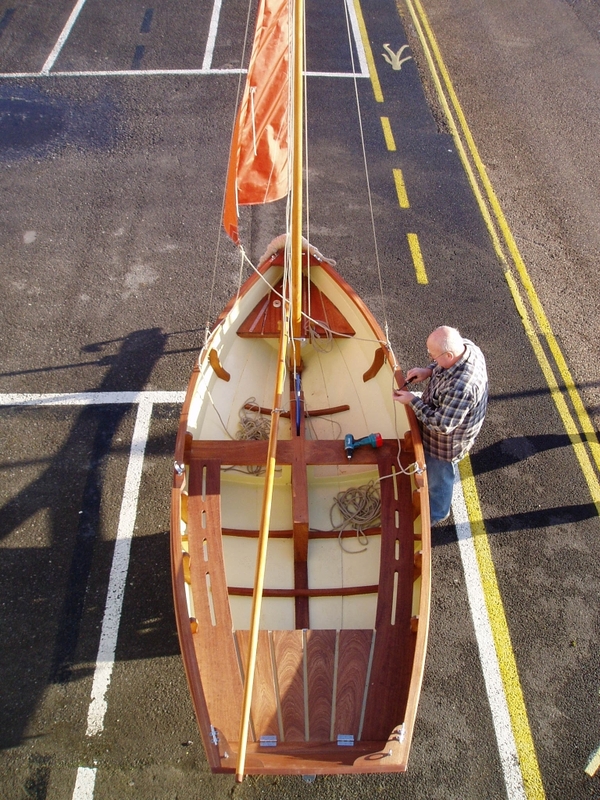 With his main partner on the build, journalist Mike Lowson, he built the the boat with a solid mahogany sheer strake and fitted the boat out in sapele. 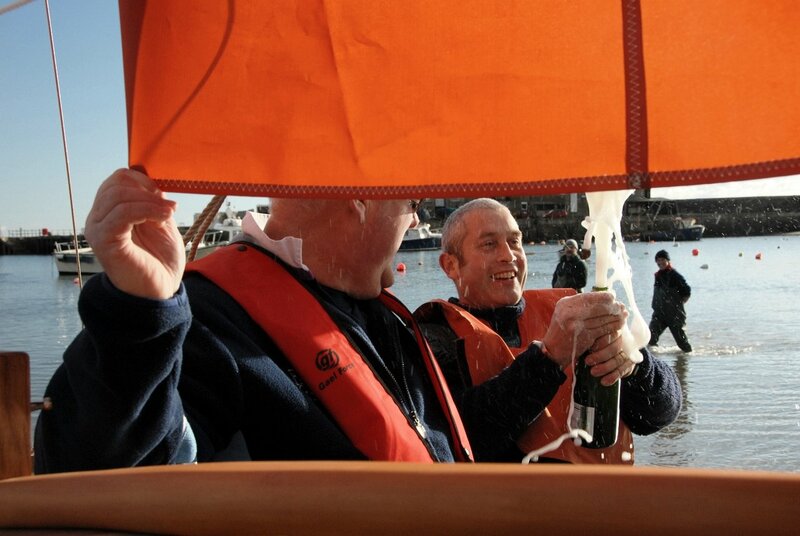 Neil Bailey on launch day – and doesn’t it look like a real celebration! As promised, Boat Building Academy principal Yvonne Green has sent us some more photos from the big student launch day at Lyme in December. 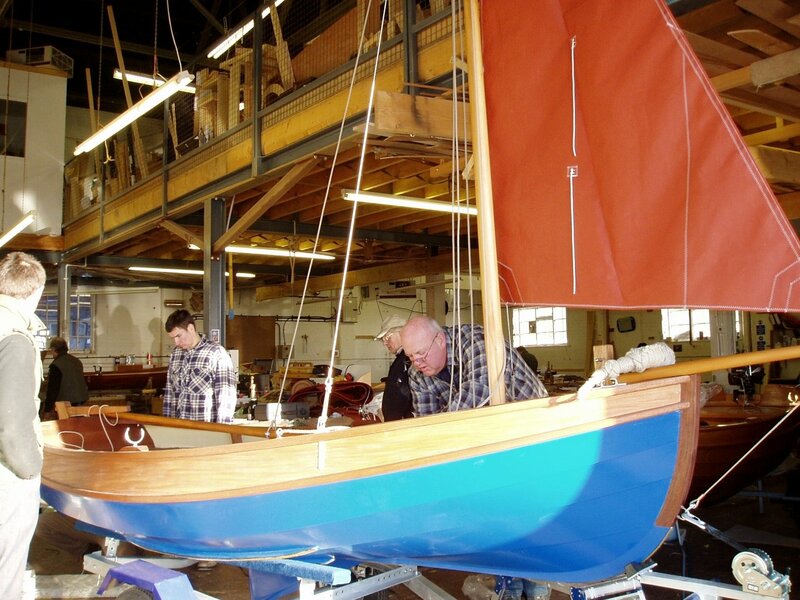 Yvonne addss that the Academy has been busy recently with a wooden boat restoration course that included staff from some of the leading museums. Apparently, the eight on the course were keen to come back and suggested the folks at Lyme should think of running more courses on restoration. The hot news right now is that intermediate and advanced wooden boat restoration courses are being planned, probably next year. 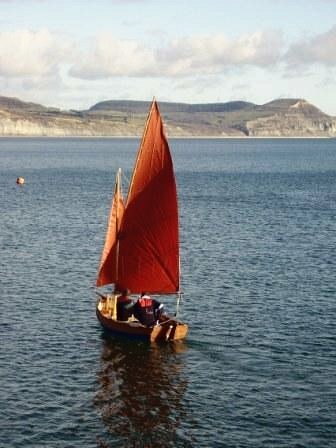 The ‘coble’ itself seems a very attractive and useful boat, but I’m not sure how much it resembles a traditional cobles: click here for a post about cobles at intheboatshed.net. 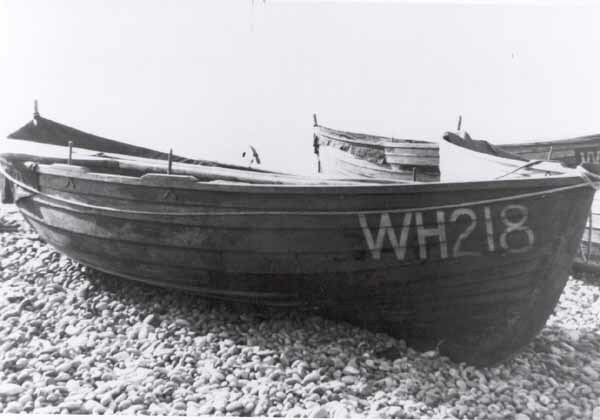 For more intheboatshed.net posts mentioning cobles, click here.